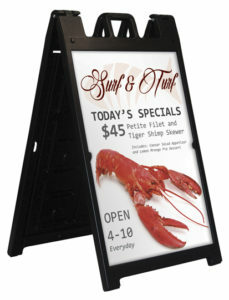 Outdoor Displays - Northern Lights Display | Banners, Flags, Lighting & More! 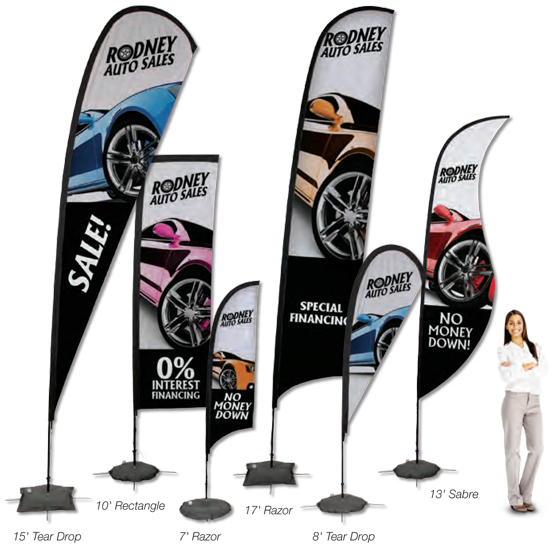 Your message commands attention and out ATTENTION FLAGS ranging from 6′ to 17′ tall will impact any event or location with full color single or double side printing. 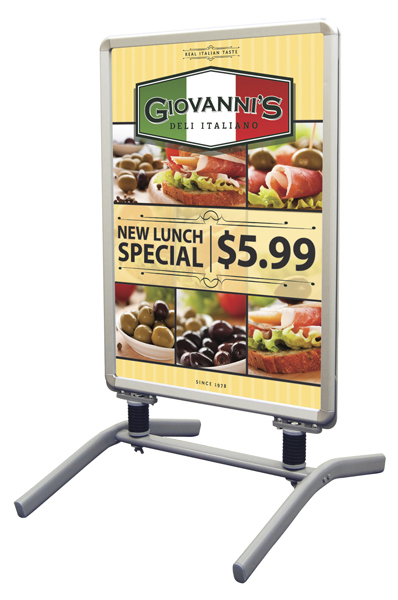 Movement from display flags is a great way to direct attention to a specific area. 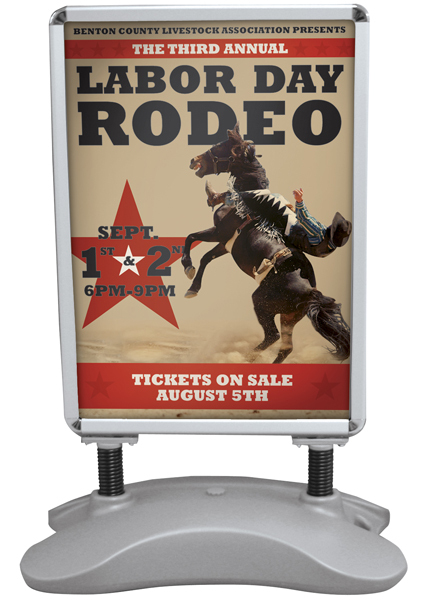 Line your sidewalk or highlight an entry to a building or stadium for your next event. 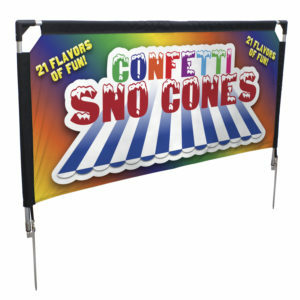 Feather flags come in various sizes and shapes and can be ground staked or flat surface mounted. Once final art is approved, we need only 4 days of production time!